If you are a current member, you can login below. To join the CPA as an Individual member, click here. To register for this event as a non-member, please click here and complete your personal profile first. You will then be able to return to this page and register. Charmaine Hammond has been in the business of changing lives for more than 25 years. A highly rated speaker at this year's Spring Payroll Summit in Richmond, this former Correctional Officer (yup! She worked in jails) and Corporate Dispute Resolution Expert now travels the world teaching the principles of communication, resilience, and collaboration. Charmaine has owned several businesses since 1997 including Hammond International Inc which just celebrated its 21 years in business. 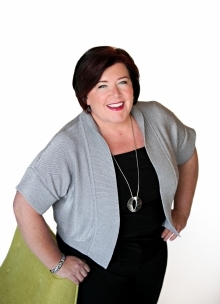 Charmaine's presentation will focus on 5 keys to achieving work life harmony and balance. Research indicates that close to 2/3 of employees are struggling to keep all the balls in the air… family…. aging parents…. work…. Children… hobbies… personal and professional development, and this is impacting the level of stress and productivity in the workplace. A team and organization’s success is largely dependent upon the health and wellness of its workforce. Work life harmony and balance brings health and success to a business and organization. Registration Fee: CPA Member - $40, Non-Member - $50, plus applicable taxes. CANCELLATIONS: Please be aware that there is no refund upon cancellation. If you register for the event and do not attend, you are liable for the full registration. Payment must be made 5 days prior to the event. No cash payment will be accepted at the door. "For certified members, this seminar counts toward 3.0 hours of continuing professional education." For any questions or concerns regarding this registration, please contact us at: 1-800-387-4693 or 416-487-3380 Ext 118 or at membership@payroll.ca. Registration and breakfast opens at 8:00 AM. The event begins at 9:00 AM and ends at 11:00 AM. REGISTRATION FEE: Members - $40, Non-Members - $50 (plus applicable taxes).